Police on Saturday gunned down three family members and their friend in what it called a shootout with ‘terrorists’ near Sahiwal. While Khaleel, his wife Nabeela, elder daughter Areeba and friend Zeeshan were killed on the spot, the couple’s minor son sustained a bullet injury and two other daughters remained safe. The family was travelling in a car when the alleged encounter – which the Counter Terrorism Department (CTD) officials later termed an ‘intelligence-based operation’ – took place on GT Road in Qadirabad area near Sahiwal. “Four people, including two women and Daesh local commander Zeeshan, have been killed and one child has been injured in the cross-fire,” a CTD spokesperson said. The suspects were kidnappers and three children were recovered from them, police said. 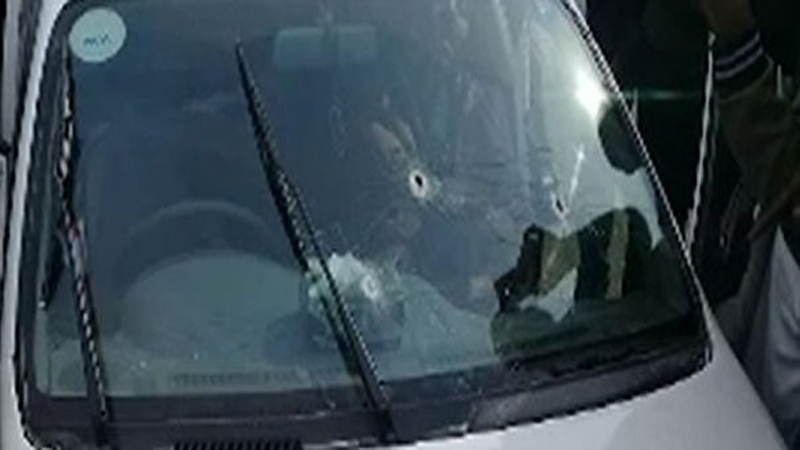 “A CTD team tried to intercept a car and a motorcycle near the toll plaza, however the people in the car starting firing at them,” the spokesperson said. He claimed that the deceased were high-level targets who were also involved in the kidnapping of former prime minister Yousuf Raza Gilani’s son. “The operation was conducted as follow-up of the one in Faisalabad which took place on January 16,” he added. However, eyewitnesses, minor child and relatives of the deceased strongly refuted the CTD’s version. “I was travelling to Burewala for my uncle’s wedding with my father Khaleel, mother Nabeela, elder sister Areeba, father’s friend Zeeshan and two younger sisters when the vehicle was stopped by police,” Umair Khalil, the injured child who was in the vehicle at the time of the incident, told media. “When we were stopped, my papa pleaded that there was no weapon in the car and that police could search the vehicle. They didn’t listen to my papa and opened fire,” Umair, who appears to be around 10-years-old, said. “Police left us [Umair and younger sisters] at a petrol pump and we were later taken to a hospital,” he added. A video of the crime scene shows the bodies lying in the bullet-riddled car after the firing incident. In another video, also doing rounds on social media, eyewitnesses and people present at the hospital can be seen suggesting that police shot the family members in cold blood. In another video, a man who identified himself as an uncle of the children, said that several family members were going from Lahore to a village near Burewala in four vehicles to attend a wedding. He said he was travelling in another vehicle and lost contact with the deceased as their mobile phones were off. He alleged that the CTD personnel tried to rob the victims as they were carrying cash, jewellery and other valuables, and then killed them. Eyewitnesses conflicted CTD’s statements and said the people in the car did not fire at police officials. “There were no weapons found with the bodies,” they said. The neighbours, in their statement to the press, maintained that they know the deceased since the last three decades, and expressed their doubts over their alleged involvement with Daesh. They said late Zeeshan’s brother, Ihtesham, is employed in Punjab’s Dolphin force. A post-mortem examination of the deceased showed that the victims received bullet injuries in their heads, necks and stomach areas. The bodies of the three family members have been handed over to their relatives. Khalil was a resident of Chungi Amar Saddhu in Lahore where he owned a shop. Family, relatives and residents of the neighbourhood staged a protest near Chungi Amar Saddhu against the brutal killings. The protest led to huge traffic snarl-ups on several arteries of the city. Following successful talks with city administration, the heirs of the victims called off protest at Ferozepur Road. Prime Minister Imran Khan contacted Punjab Chief Minister Sardar Usman Buzdar and sought a report in connection with the incident. The CTD officials involved in killing were taken into custody on the orders of the chief minister. Punjab inspector general of police (IGP) has announced the formation of a joint investigation team (JIT) comprising officials from police, Inter-Services Intelligence and Intelligence Bureau to probe the incident. The team has been asked to submit its report within three days.